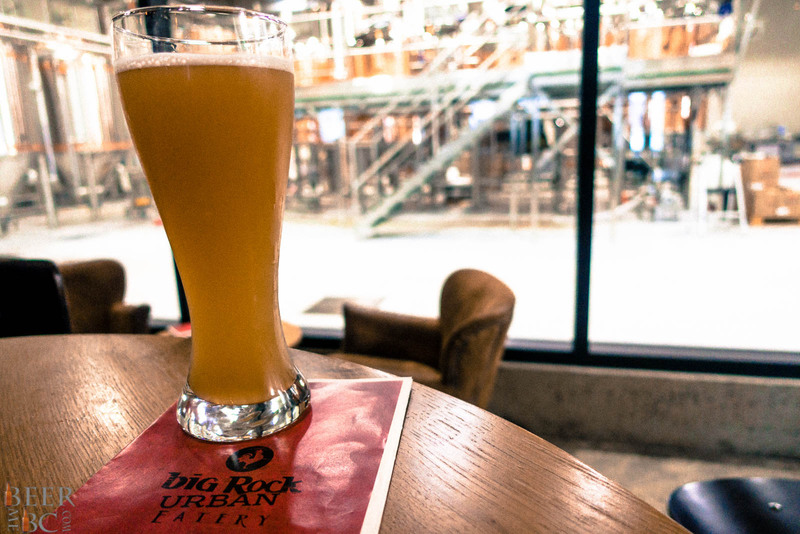 Big Rock Urban Brewery – Great local food to go with BC craft beer. 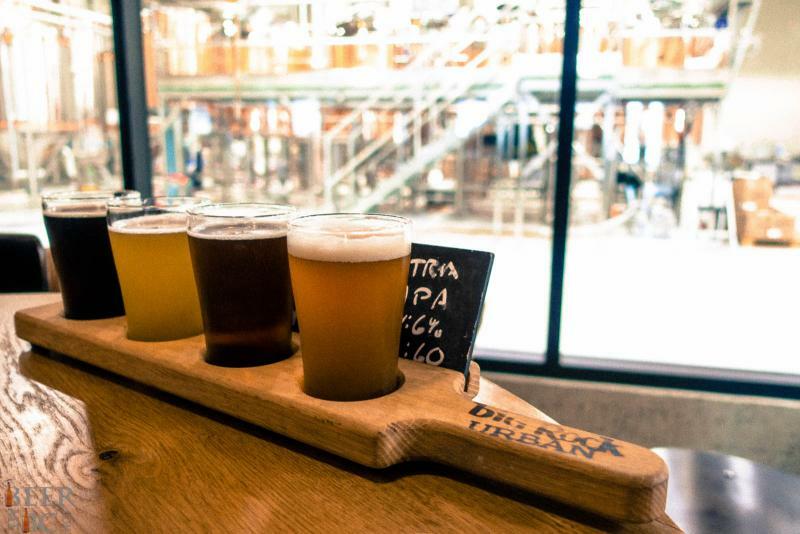 Food and beer are complimentary and when paired well can enhance your experience for both. When it comes to a brewpub having a chef and brewmaster that can work together and understand each other’s art is crucial to creating the best experience possible. 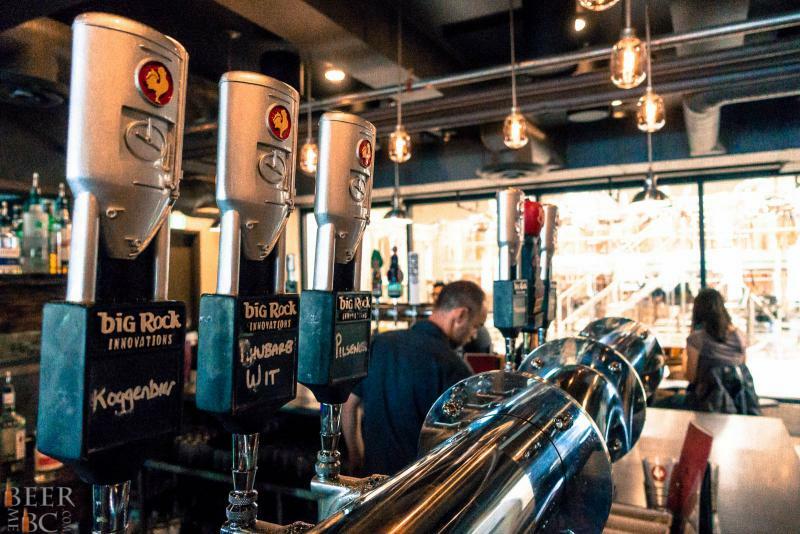 At the Big Rock Urban Brewery in Vancouver, your experience is well managed by Executive Chef Alex Newton and Head brewmaster Jody Hammell. There are two sides to the restaurant area. The first is an open area that is fairly typical for a large restaurant. As you venture deeper into the facility though you will come across the lounge area. Resembling the viewing glass of an aquarium you can watch the creatures on the other side in their natural habitat – brewing beer. 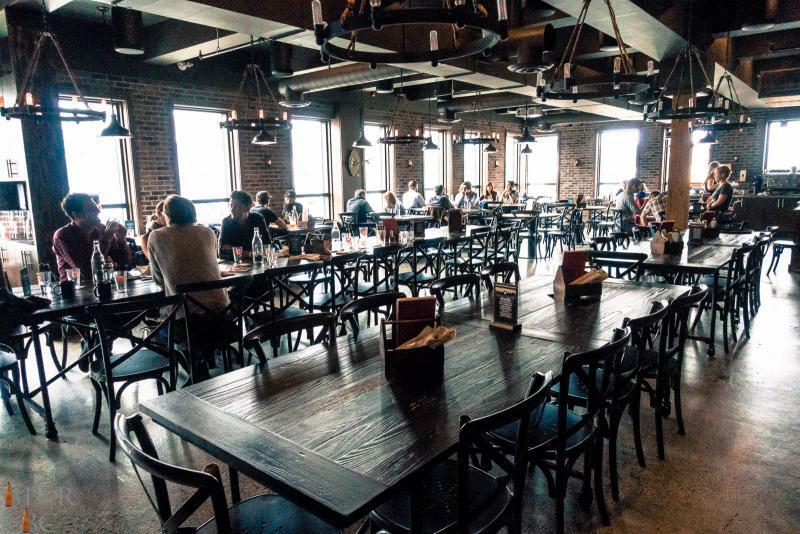 Sitting down for a meal is not only a culinary experience but also a learning opportunity while you peer into the brewery and see the magic unfold before your eyes. The food is a fusion of comfort, pub, and artisan beer-fusion in a rather unique and very tasty package. Upon visiting Big Rock Urban and sitting down for a taste the Beer Battered, Fried Olives were just too tempting to pass up. 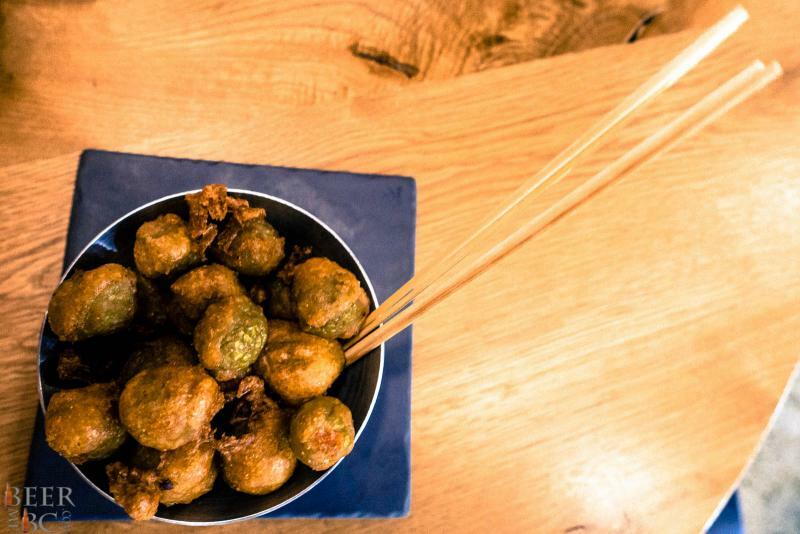 Pimiento stuffed olives are battered using the Hollow Tree Red Ale then deep fried for a crispy, salty and deliciously beer-infused snack. 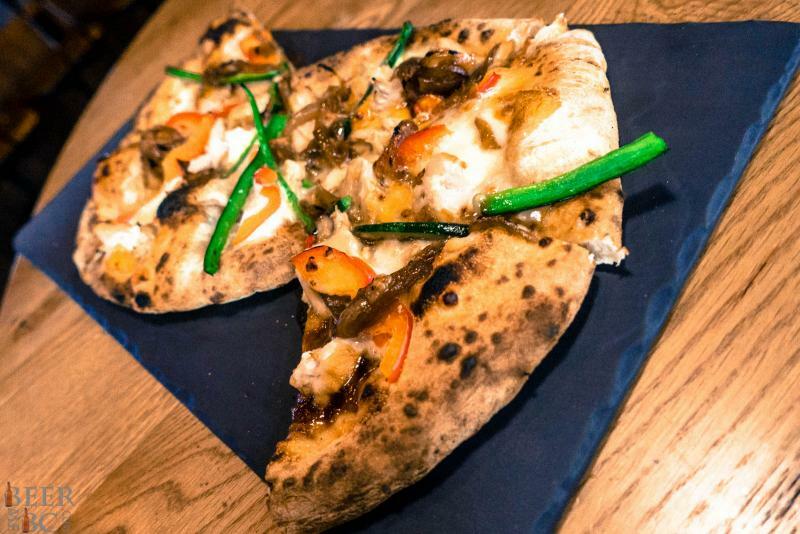 Pretty much everything on the menu has come into contact with beer in some way or another. The BBQ Chicken Pizza has beer in the sauce and beer in the chicken. Even the salt used on most dishes is not your typical NaCl. Alex has perfected a Hop Salt where the leaves of Centennial Hops are used to give a slightly piney, aromatic bitterness which further enhances the flavour enhancer. The Burger too is something special. The flat top grilled patties are made with two types of steak in house and cooked to your preference. Also incorporating beer into the recipe and using the ever-so-popular hop salt the burger is a delicate combination of big and juicy flavours. To go along with the burger a platter of McDonald’s-esque fries are a massive hit. Also using the hop salt a good thing has been made even better and offer a great addition to an already delicious meal. No meal is complete without satisfying your sweet tooth and Alex has something special in his twist on the Smore. 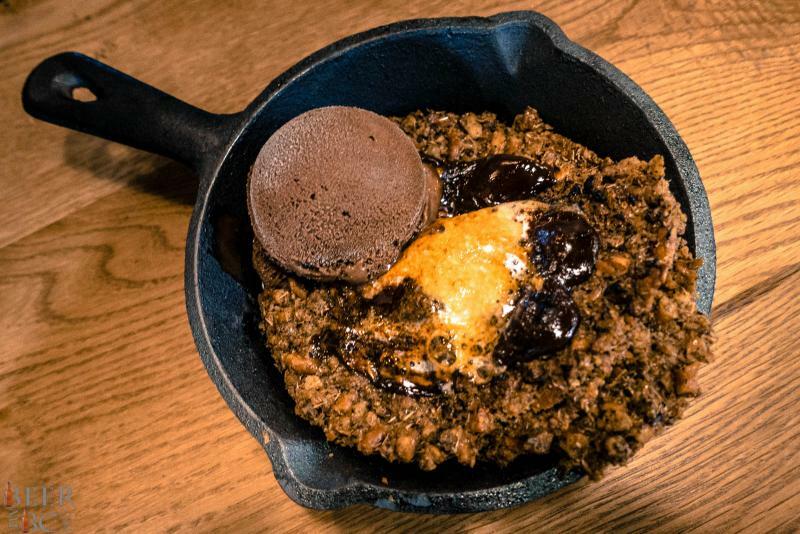 A Pretzel and spent Rauchbier Malt cookie is topped with an artisan marshmellow, chocolate and stout ice cream for a sweet and smokey treat. The Rauchbier malt gives the smokey tone while the pretzel adds a salty crunch to the base. The Marshmallow is actually burbon infused giving a further layer to the flavour. In the Stout Ice Cream a sweet coffee and chocolate flavour comes through in a contrast of flavour and temperature that is intoxicating. The desert was truly a magnificent collaboration of beer and food. 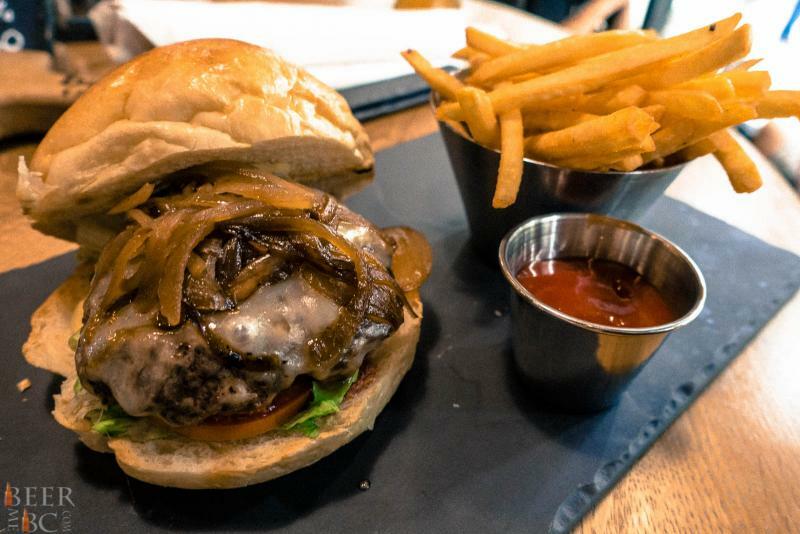 The Big Rock Urban Brewery has two things dialed on their menu. The food, and the beer. Jody and Alex have a symbiotic relationship of flavour where together they are greater than the sum of their parts. Stop by the brewery for lunch and experience the greatness that comes with beer and food that are designed to work together in unison.